Home / News / Philippines / Did God tell these bishops to require faithfuls to campaign for these candidates? Did God tell these bishops to require faithfuls to campaign for these candidates? 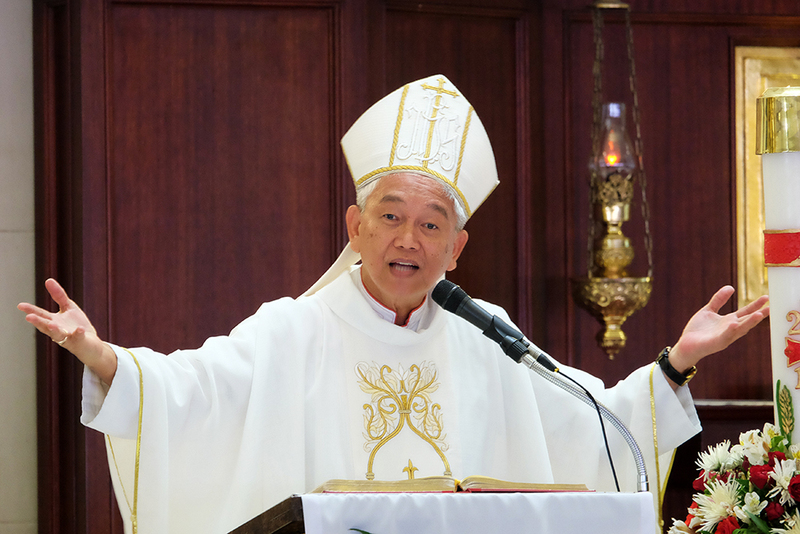 With less than two months to go before the May 13 midterm polls, a Catholic prelate has asked the faithful to make use of the remaining months to campaign for deserving candidates. “Now is the task for all the lay faithful to campaign the deserving candidates so as to counter the money and the political machineries that the traditional politicians are using,” Manila Auxiliary Bishop Broderick Pabillo, chairman of the Catholic Bishops’ Conference of the Philippines Episcopal Commission on the Laity, said in a statement. He cited the 10 candidates that lay Christian leaders, belonging to the People’s Choice Movement, recently selected out of the 62 senatorial aspirants. These candidates are Senator Grace Poe, former congressman Neri Colmenares, Gary Alejano, Bam Aquino, Chel Diokno, Samira Gutoc, Florin Hilbay, Romy Macalintal, Mar Roxas, and Erin Tañada. “Our lay leaders, the People’s Choice Movement, have done their work of discernment… This is a serious kind of discernment circle that the bishops have been calling out,” Pabillo said. The group was able to select the 1O candidates after thorough screening process using a set of Christian criteria. The stance of the candidates on different issues such as belief in God and federalism/charter change was also considered. The çandidates were also rated using the formulated criteria that has 20 questions dealing with Character & Honor; Competence & Abilities; Faithfulness to public service; and Faithfulness to God, the Constitution and the laws with each of the 20 questions graded from 1 to 5, with 1 being the lowest and 5 the highest. The 10 candidates with the highest scores were declared the selected candidates. The People’s Choice Movement is composed of some 130 lay Christian leaders from Catholic, Evangelical, and Protestant organizations, who decided to heed the call of the CBCP last January. That time the CBCP called on lay groups to engage in discernment circles to “know the candidates well and choose the candidates with the common good of the whole country in mind. One thing I learned these past few weeks: DON'T TRUST EVERYTHING THESE BISHOPS SAY. They didn't even have an opinion about priests who sexually abused young boys and girls.